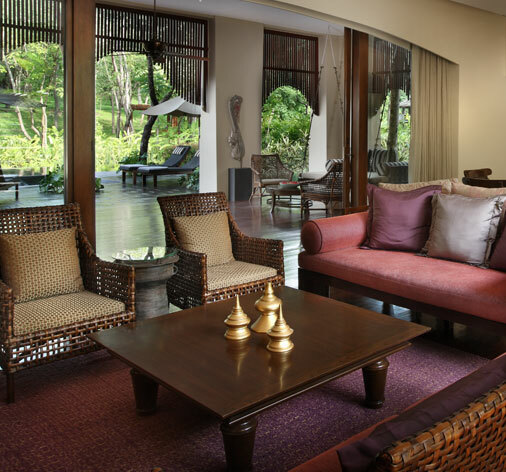 Residences at Four Seasons Resort Chiang Mai offers both freehold and leasehold structures, depending on the eligibility of the purchaser. Under the present law, freehold ownership is available to Thai nationals or Thai registered companies. For non-residents, we provide 90-year leasehold ownership, comprising 3 successive 30-year terms. Through leasehold arrangement, non-residents can acquire a villa without the hassles of having to set up a Thai company (non-Thai nationals can only own up to 49% of a company, the remaining balance owned by Thais). stamp duty (approximately 2.5% of the appraisal price), while for leasehold interest, registration fee and stamp duty amount to 1.1% of the leasehold amount. After registering the lease agreement at the Land Department, the purchaser will have unfettered rights to use the land and improvements, in accordance with the terms and conditions of the lease agreement. Leasehold rights can be transferred to a third party but the new owner shall remain bound to the conditions and provisions stipulated in the initial lease agreement. An option clause to convert the property to freehold status during the term of the lease is included in the agreement, providing the Lessee is qualified under Thai law. The Lessee would be responsible for all taxes, legal and administrative costs associated with such conversion.